The streetcar from the city was extended West into the new suburb, turning around there. 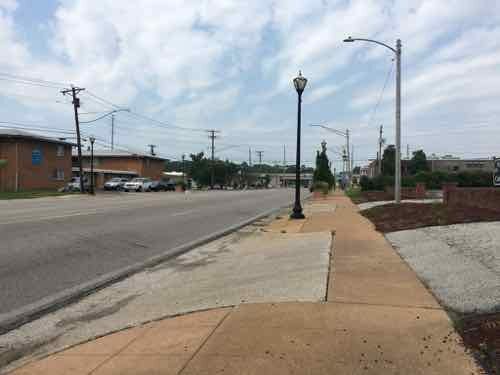 The urban business district is now knows as the Delmar Loop because of the streetcar loop to reverse direction. University City has a second East-West business district: Olive Boulevard. Where the Delmar Loop was established first, in the streetcar era, Olive developed later. 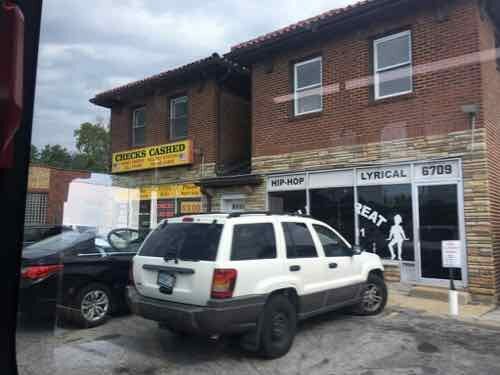 Initially buildings were similar to those on Delmar: 2-story with residential over a business on the ground floor. As development marched Westward the automobile became more important and residential units above retail was no longer a thing — it was all about separation of uses. Business zoning meant businesses only, residential meant single-family detached homes, with a few zones for multi-family. Mixing these was considered a formula for creating blight. 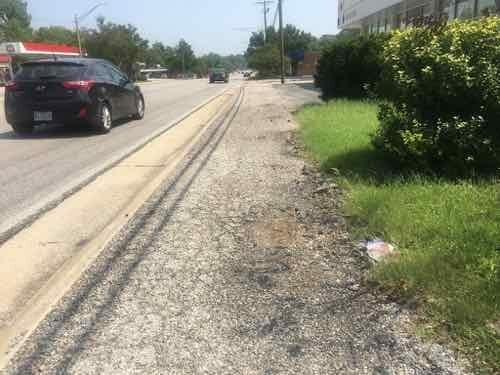 As a result, the 3.6+ miles of Olive Blvd has always been very different than the short half mile of the Delmar Loop business district located within University City’s limits. 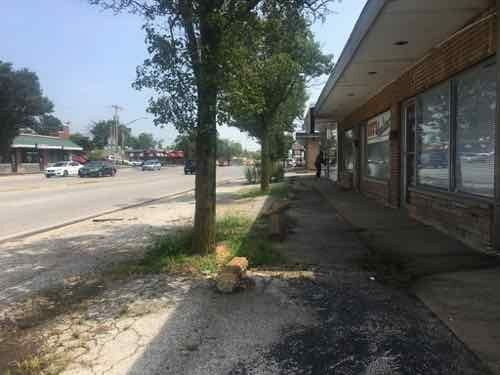 On Saturday August 25 2018 I decided to explore a portion of Olive Blvd targeted for redevelopment. Today’s post isn’t about proposed development and all the pros & cons associated with it. No, today is about documenting what exists now. My round trip took more than four hours, including stopping for lunch to eat and recharge my wheelchair. In that time I took 181 photos. It was quite hot on that Saturday, but I feel it’s important to personally experience an area before writing about it. I’m not going to share all my images, just enough to give you a sense of the area. The #91 MetroBus starts at the Delmar Station (I arrived on the #97 MetroBus, not via MetroLink). Anyway, the #91 heads North on Skinker before turning left to head Westbound on Olive Blvd. — the start of the U City limits. 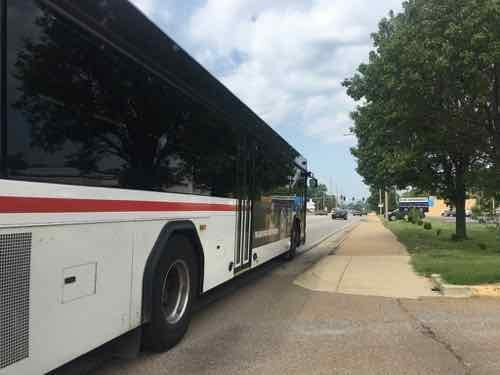 Having lived in St. Louis for over 28 years I’d driven this part of Olive many times, but this was my first time seeing it from the bus window. My interest on Saturday, however, was the far end of Olive. I got off the bus in front of Royal Banks (map). Before I get into my photos illustrating Olive Blvd I should give you some additional background. 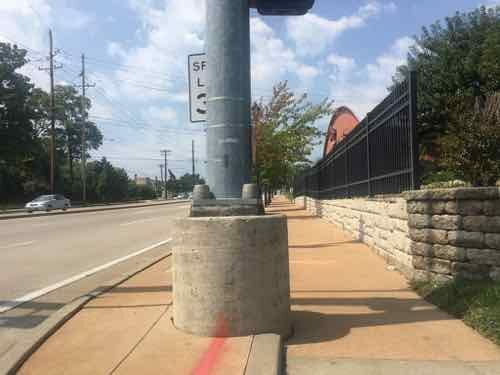 Neither University City or St. Louis County is responsible for maintenance of the road, sidewalks, signals, etc. 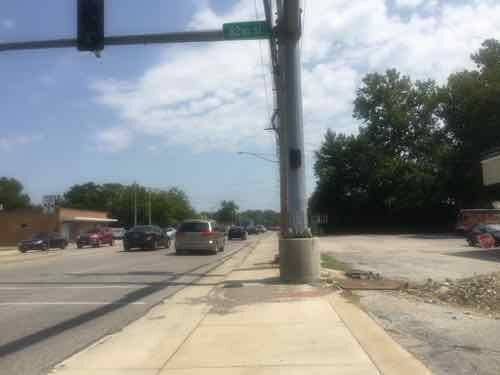 The State of Missouri has that responsibility because Olive Blvd is also known as state Route 340. 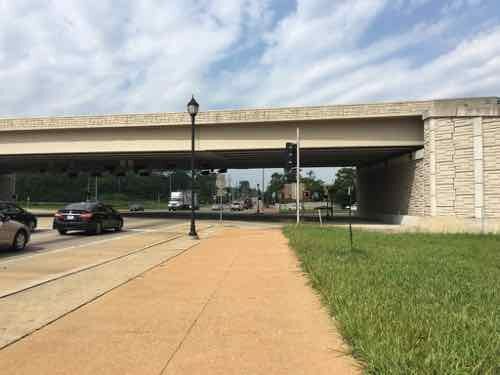 Not a divided limited-access interstate, but an urban corridor that is supposed to move more cars than other corridors — like Delmar Blvd. The headline gives away the theme — it was a nightmare. 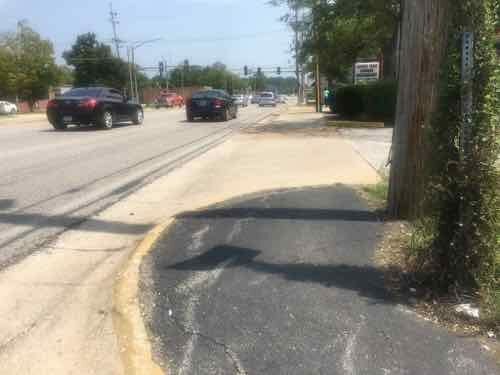 This comes from auto-centric development in the absence of a mandate for accommodating pedestrians. OK, let the visual tour begin. Taken on the bus, this 1915 building has residential above commercial. 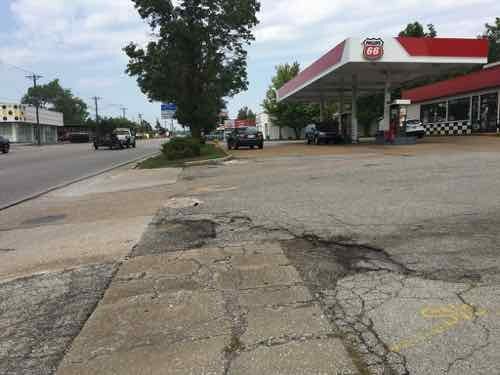 This is shortly before Olive Blvd becomes Missouri Route 340. 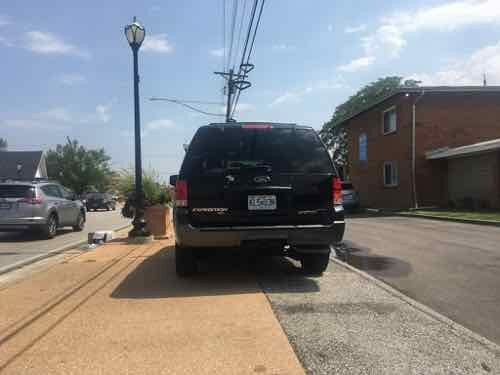 Due to parking, clear pedestrian access is limited. Looking West as the bus continues heading on Olive Blvd to Chesterfield Mall. Looking East from the same spot. Olive Blvd is 4 travel lanes, plus a center turn lane. 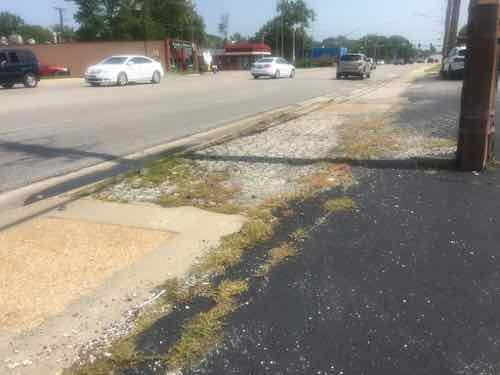 Sidewalks at this point are “attached”, no tree lawn separating roadway from sidewalk. The Royal Banks building, 8021 Olive Blvd, was built in 1971. In 1958 the land was vacant. Next door, to the West, is a store specializing in Asian/International groceries. It was built in 1960 — has been updated many times since. Both are set way back from Olive to provide more room for parking. Despite the presence of a bus stop, neither provide an accessible route to their accessible building entrance. This is the case for nearly every property I encountered the next few hours. I quickly encounter a point where foliage is hanging over the sidewalk. I’m sitting in my wheelchair and still hit it when ducking. 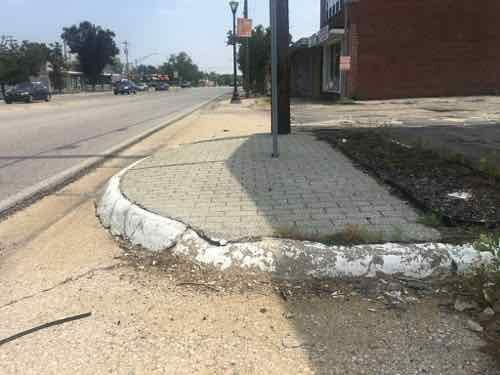 In places the paving changes to a paver brick intended to spruce up the pedestrian experience. As expected, they were uneven. 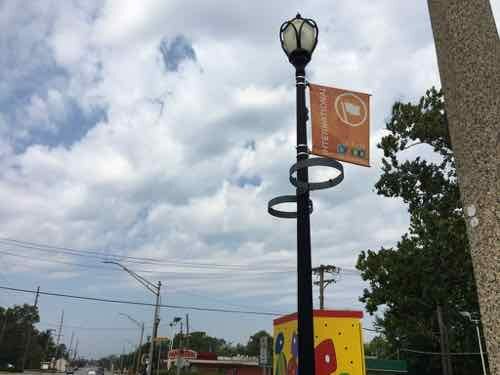 The streetlight is also intended to help the image of Olive. The banner is for the Olive Link International district, next to rings meant to hold planters. 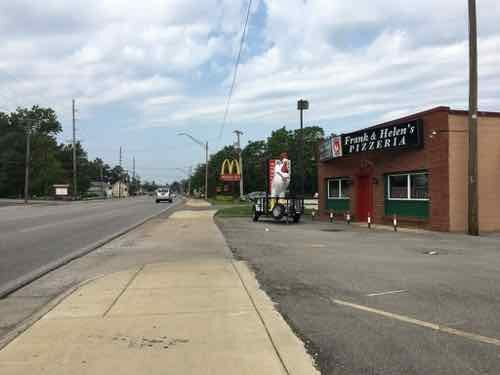 This shows a 1962 pizza place is relatively close to Olive. Broken grate around a former street tree. The above was written back in August, shortly after taking the trip on Olive. Rather than continue procrastinating, I’m going to post more pics with limited commentary to be able to finish this post. Yesterday as I was finishing up this post I reviewed all nearly 200 photos I took that hot August day. After wishing it wasn’t so cold now, I recall all the obstacles I encountered in my wheelchair. 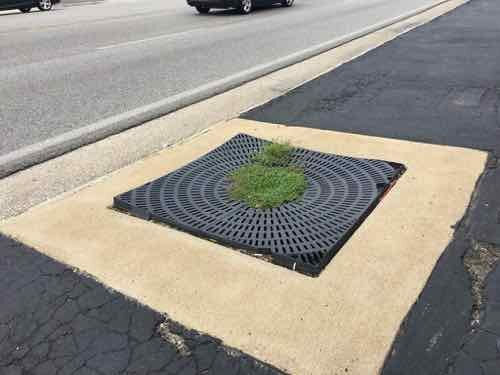 I also thought about how horrid the environment is for anyone to experience as a pedestrian. 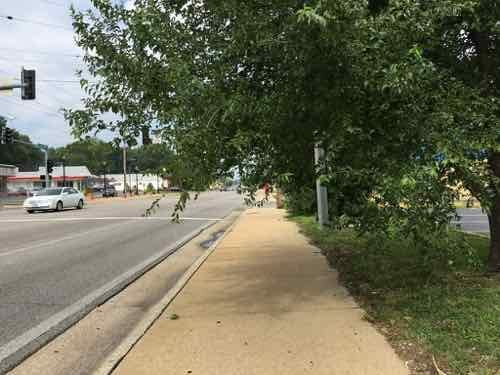 Now that I’ve finally gotten this post completed, I can post about plans to redevelop the Western end of Olive Blvd in University City. 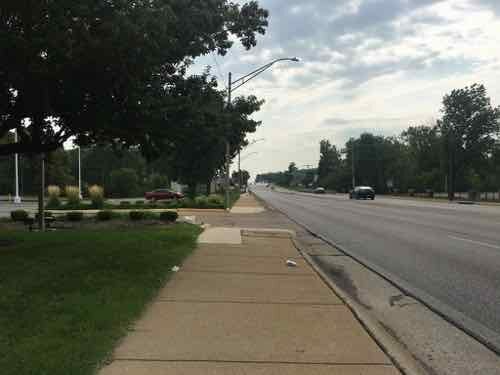 Sunday Poll: Do Closed Streets Reduce Crime? 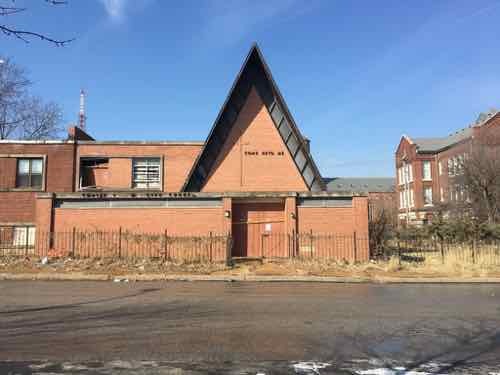 February 24, 2019 Featured, Sunday Poll Comments Off on Sunday Poll: Do Closed Streets Reduce Crime? 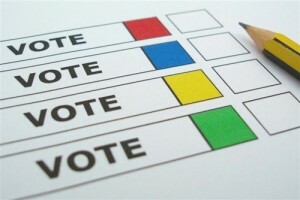 Today’s poll seeks to get reader input on this topic. This poll will close at 8pm tonight. Come back Wednesday for the non-scientific results and my thoughts. My first time mentioning ride sharing companies Lyft & Uber on this blog was in a May 2014 poll. This was largely due to the fact I’d never used either. In January 2018 that changed when it was just too cold for me to take my wheelchair/transit to a doctor’s appointment. That cold January day I tried Lyft for the very first time. After a good experience both directions I decided I’d sign up as a driver. My husband has our car most of the time while he’s at work, but there are times I have the car — at least access to it. 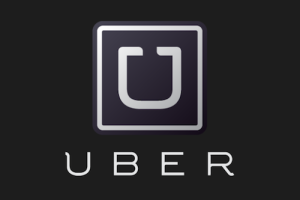 After my first trip as a driver I also signed up to drive for the better-known Uber. I then got my husband to sign up for both, he could do it on the way home if he finished with a client early. Though I’m technically still a driver for both, I haven’t done so since March 2018. Couple of reasons why. First, we bought a newer car that was larger and more high tech than I’d been used to. When driving it initially I needed to get used to it without any distractions. Second, my vision was getting so bad that I often couldn’t see to drive when the car was available due to glare from the sun. In August & October 2018 I had cataracts surgery on my eyes, in November I got new prescription glasses for distance. See My Vision Is Better Than It Was On Sunday! Earlier this week I completed and filed our 2018 taxes, so I’ve recently downloaded and reviewed our summary reports. I gave a grand total of 8 rides in about a 10 week period, 3 via Lyft and 5 via Uber. Most drivers, including my husband, will have both Lyft & Uber on simultaneously until they get a ride, immediately shutting down the other. I could never bring myself to do that. The mental stress of just one app open was enough for me. Still, it was a great experience. I met some nice people, both locals and tourists. I got to experience the ride sharing industry from within, albeit limited. One was my eight was perfect. I was driving to ALDI to go grocery shopping. I picked up a guy at Firestone and took him to his house, which was on the way to the ALDI I wanted to visit. In 2018 my husband had a total of 177 trips; 58 with Lyft & 119 with Uber. Back to taxes, both apps track the miles driven while on trips. This is used for tax purposes to account for vehicle expenses (fuel, wear & tear, insurance, maintenance, depreciation, etc). Though we both came out ahead, it wasn’t as much as I’d hoped it would be. We’re going to contribute to the high turnover among Lyft/Uber drivers. My conclusion on my first time using ride sharing is the same as it is today — this is expensive way to get around. My guess is that it’s on par with a taxicab, but that’s just a guess. Both are far pricier than transit. In the last few years there have been a ton of articles about how ride sharing reduces car trips…or increases them. How it cannibalizes transit systems…or compliments them. I recently even saw an article about college kids taking Lyft/Uber instead of walking across campus. Compared to a taxicab I do prefer ride sharing — no pressure from the driver to pay with cash instead of plastic. I’ll keep watching the ride sharing industry and how it is potentially disrupting others, I like that I’ve got experience as a rider & driver. In the 70s we didn’t have dollar stores, we had the five and dime. In my hometown of Oklahoma City my favorite five & dime was TG&Y (1935-2001), I’d also ride my bike to the larger Woolco — “It was a full-line discount department store unlike the five-and-dime Woolworth stores which operated at the time. At its peak, Woolco had hundreds of stores in the US, as well as in Canada and the United Kingdom. 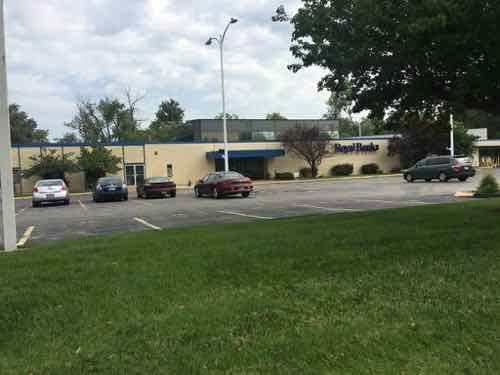 “ After closing, the space became a Venture, a retail chain based in the St. Louis suburb of O’Fallon MO. Of discount department stores I’ve preferred Target for decades. Walmart, in the early years, brought the discount department store to small towns all over America. Eventually they’d build a larger store in the same town. 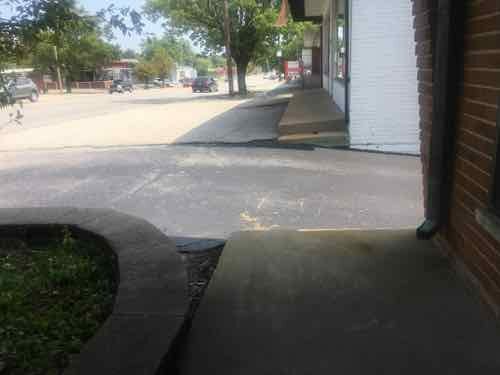 Main Street businesses began to close. Then Walmart began closing stores, forcing customers to drive a town or two over to shop at an even larger store. And now Amazon is hurting all brick & mortar retail, right? Many investors believe the popular narrative that Amazon is crushing brick-and-mortar retailers. The e-commerce titan certainly humbled plenty of them, but some retailers continue to expand by opening new stores. The top three dollar-store chains in America, for example, opened more than 1,800 stores last year. Dollar General (NYSE: DG) led the pack, followed by Dollar Tree (NASDAQ: DLTR) and its subsidiary, Family Dollar. Wal-Mart Stores (WMT, +2.19%) executives could not have been too happy to wake up to the news this morning that dollar store dominator Dollar General (DG, -0.17%) offered $9.7 billion in an all-cash deal to buy out its smaller, struggling rival Family Dollar Stores (FDO, +0.00%), outdoing an earlier, accepted cash-stock offer by Dollar Tree (DLTR, +0.20%). Dollar General is by all accounts a supremely well run retailer: it has reported 24 straight years of same-store sales growth, all the while managing a massive expansion in recent years that has won it millions of shoppers looking to save money. Moreover, its operating profit margin has also improved in the last five years despite the costs of opening thousands of new stores. However, it was Dollar Tree that prevailed, buying Family Dollar in 2015. 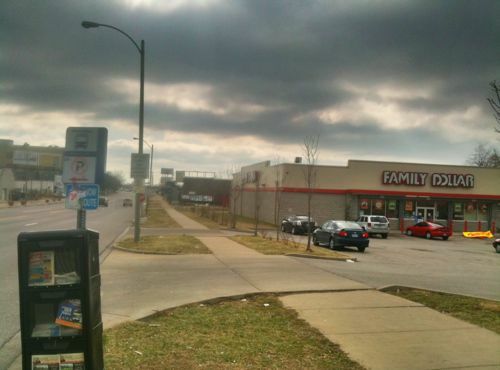 Family Dollar at 6000 Natural Bridge has no paved pedestrian access route from public sidewalk to entrance, even though it would’ve been easily achieved during construction. Click image to see my 2011 post. 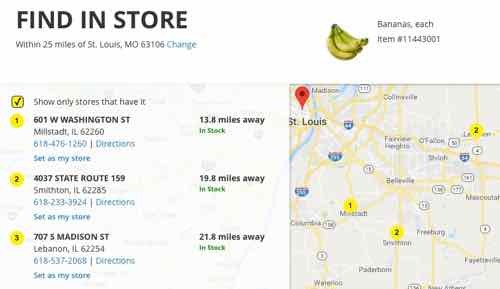 First, how many of these stores are in the St. Louis region? I checked all three within a radius of my zip code just North of downtown, 63106. 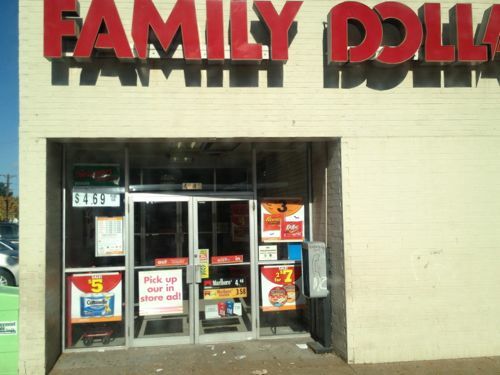 Family Dollar has 50 stores within 10 miles, still just 50 within 25 miles. Added up, I’ve got 96 dollar stores within 10 miles. That’s a lot! Food is a big part of their business. They technically aren’t even grocery businesses, but dollar stores are feeding more people than one of the highest-profile supermarket chains in America. The finding, in a new report by the Institute for Local Self-Reliance, is a testament to dollar stores’ growing dominance of the American retail landscape. Grocery sales at the two biggest dollar brands, Dollar Tree and Dollar General, approached $24 billion this year, compared with roughly $15 billion at Whole Foods, according to private market data from the research firm Chain Store Guide. Ok, Whole Foods is a niche player in the U.S. grocery segment. 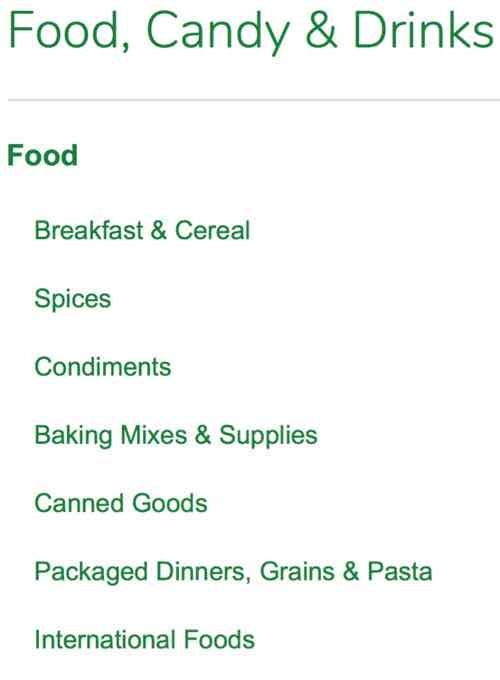 Still, what are people eating from dollar stores? Certainly not organic kale. Even ALDI has a nice selection of organic products and lots of fresh produce. 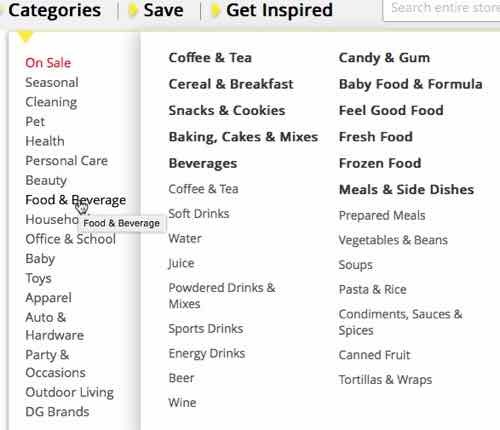 Yesterday I checked out the Groceries, Food & Beverages section of the Family Dollar website. Give your family delicious, healthy, nutritious meals for less. At Family Dollar our discount food and grocery items include the name-brand products you need to cook great meals at home or enjoy a snack on the go. Your local Family Dollar has all the same food and beverages you’ll find at grocery and big-box stores – but here, you can buy them all for less. Our shelves are stocked with delicious ingredients for meals and great snacks from the brands you know and trust. From Hormel, Betty Crocker, and Kellogg’s to Frito-Lay, Wise, and Hunts, you’ll find great discount groceries for everyone in your family. Best of all, we even have frozen and refrigerated foods, like potpies from Banquet, pizza from Red Baron, and fresh milk and eggs. 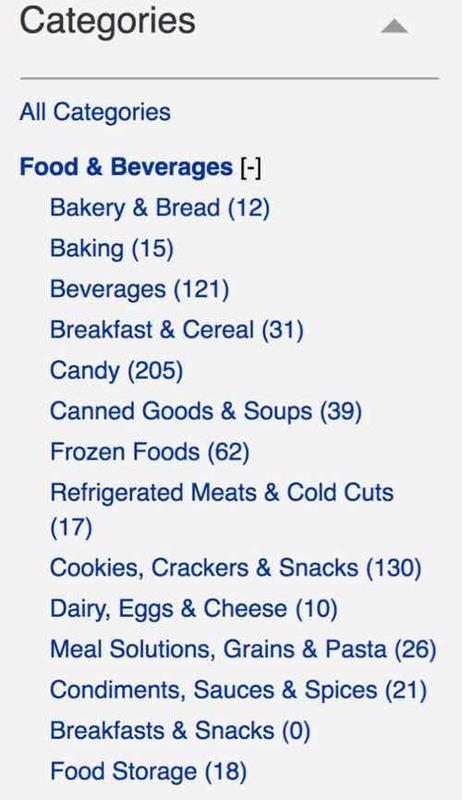 Yes, the food items found at dollar stores can be found at grocery stores — but so much at grocery stores can’t be found at dollar stores. The biggest category is fresh produce. Dollar General’s food. Note it has a fresh food section! Their site does include fresh produce, like bananas. However, only 3 out of 69+ locations within 25 miles have them in stock. This follows two decades in which Walmart’s super-charged growth left small-town retail in shambles. By building massive, oversized supercenters in larger towns, Walmart found it could attract customers from a wide radius. 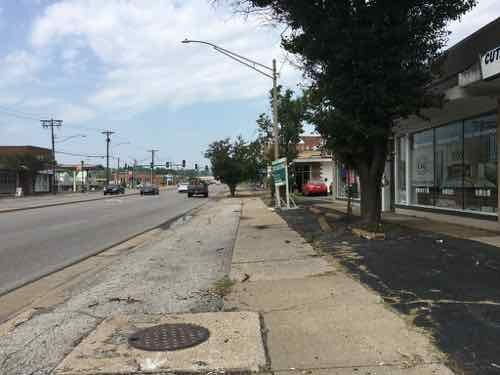 Smaller towns in the vicinity often suffered the brunt of its impact as their Main Street retailers weakened and, in many cases, closed. Today the dollar chains are capitalizing on these conditions, much like an invasive species advancing on a compromised ecosystem. In late August, just a few days before Labor Day, the City Council finally took up Hall-Harper’s proposed dollar store moratorium. Residents of North Tulsa filled the chambers and one by one spoke in favor of the measure — a show of support that Hall-Harper says made all the difference. The moratorium passed by a 5-to-4 vote. It suspended the permitting of new “small-box discount stores” for a period of six months in Hall-Harper’s district. Three months later, Hall-Harper proposed a permanent change to the city’s zoning code. 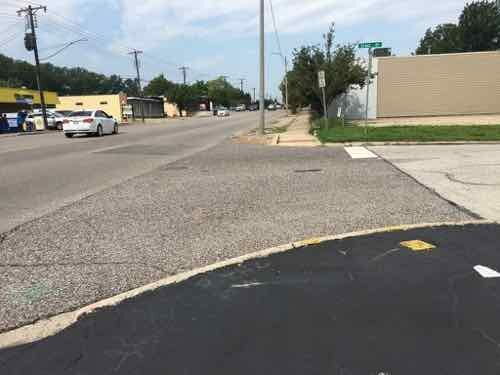 She introduced a “dispersal” ordinance that would restrict the development of dollar stores in North Tulsa. 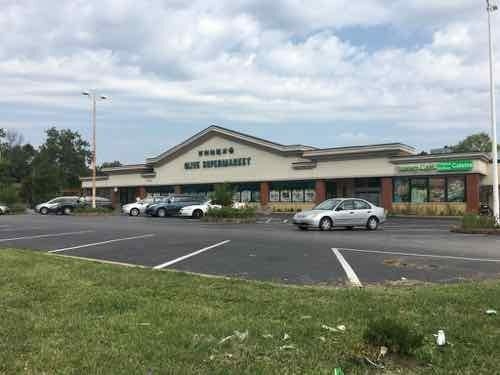 Intended to foster “greater diversity in retail options and convenient access to fresh meats, fruits and vegetables,” the measure prohibits a dollar store from opening within one mile of an existing dollar store in a designated “overlay” district. It also prioritizes full-service grocery stores by cutting in half the number of parking spaces they are required to have. 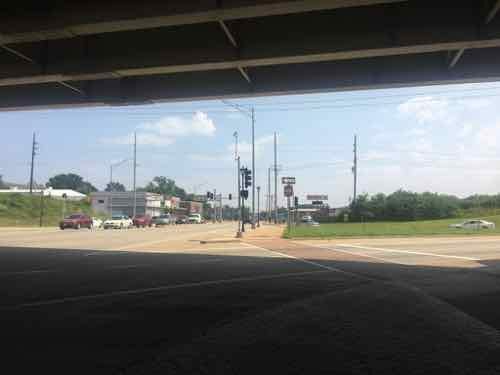 I’d love to see leadership in the St. Louis region to visit North Tulsa and take action here. Limit their numbers, proximity to each other, require sales of fresh produce. Q: Agree or disagree: We should be happy dollar stores (Dollar Tree, Family Dollar, etc) are willing to operate in low-income neighborhoods. No, we’re not lucky. These dollar stores are part of the problem, not the solution. 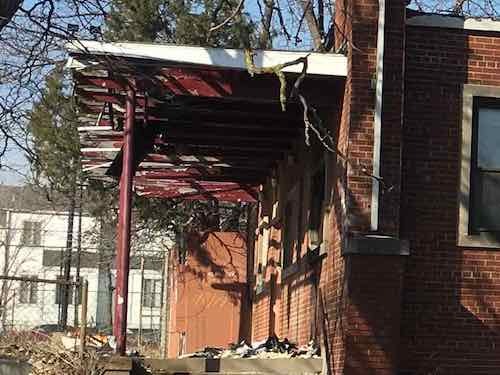 I’ve lived in the Columbus Square neighborhood for nearly two months now, one property stands out at the worst. 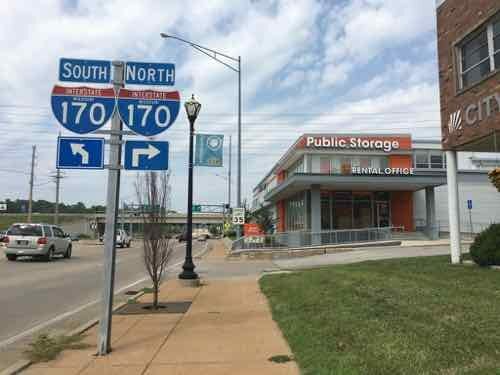 To the casual observer passing by on I-44, you might think it’s the vacant warehouses/lots on the neighborhood’s eastern edge owned by Paul McKee’s Northside Regeneration. 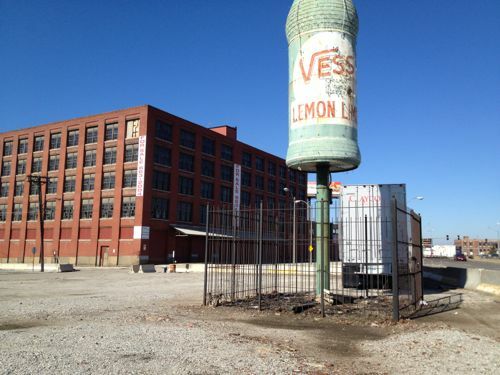 The Vess bottle in 2012, before being repainted. The McKee-owned warehouse in the background has since had a fire. Nope, the worst property in Columbus Square is right in the center, next to a public school. Surrounded by nice residential properties. The Northern portion is a different brick color, presumably built later (between 1958-68 based on review of historicaerials.com). Patrick Henry Elementary school can be seen on the right. I wanted to lookup the owner and contact them, but it wasn’t that simple. 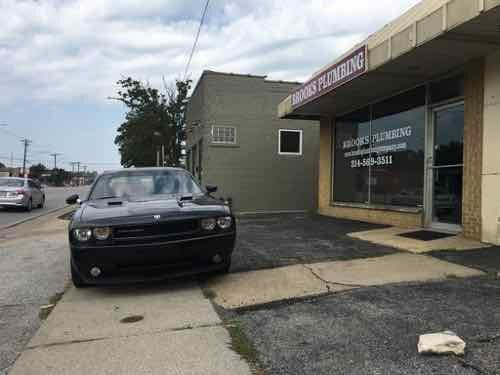 The address listed in the caption above — 1127R. The ‘R’ means rear. The city website shows a 10′ deep x 235′ wide parcel in front of this. 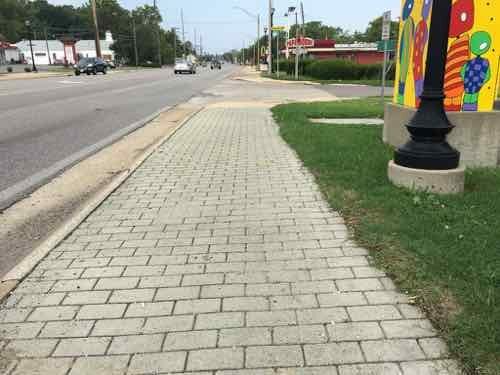 The front parcel is owned by the LCRA — the city’s Land Clearance for Redevelopment Authority. The property at the rear, which contains the building, is owned by a corporation called Ribbon Cutter, Inc. Their address is listed as 217 E Greystone Ave Monrovia, CA 91016, a gorgeous single-family home that just sold for $1.85m. 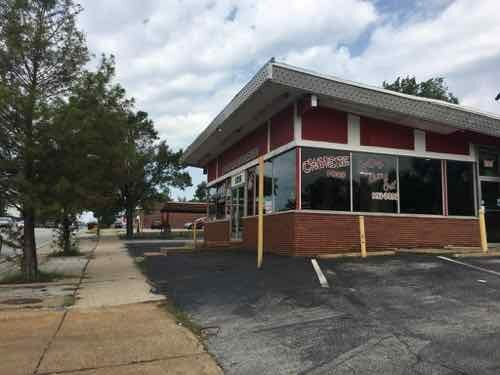 I’m sure the new owners will be surprised when they get an unpaid tax bill for 1127R North 9th Street St. Louis MO in the mail. All three have one thing in common, the name Michael Thomas. 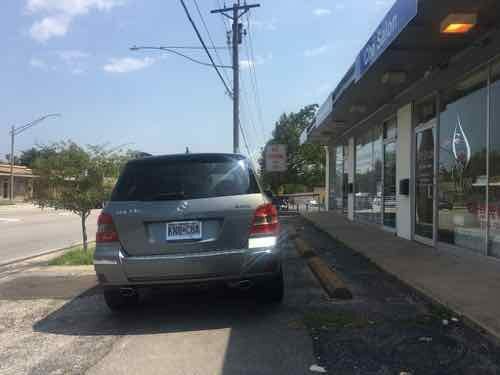 Neither S. Broadway address appears to have any connection to Michael Thomas. However, the former is owned by an LLC not listed by Missouri, the latter is owned by an LLC in California. The two limited liability companies have another address: 30 Santa Clara #D Arcadia CA 91006, Google Maps says this is the address for American Healthguard Corporation, a dental insurance business. 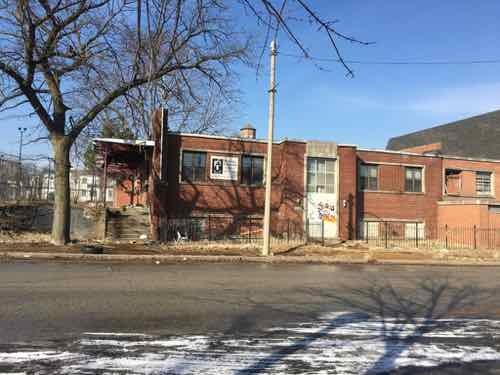 So I’m putting this post out today hoping someone knows why A) the city owns a 10′ deep strip of land in front of this derelict building, and B) the whereabouts of this particular Michael Thomas. I’m also curious about the building’s history, the address is also listed as 1111 N. 9th St.